Crystal Yacht Expedition Cruises has celebrated the next milestone in the construction of Crystal Endeavor as the keel was laid at Mv Werften’s Stralsund shipyard. German chancellor Angela Merkel joined Crystal president Tom Wolber and Genting Hong Kong executive chairman Tan Sri Lim Kok Thay for the ceremony. Also in attendance Mv Werften chief executive Peter Fetten. Once the traditional lucky coins had been put into place, the 400-ton section was lowered onto the keel blocks. “It is truly a thrill to mark this important milestone for Crystal Endeavor and the entire Crystal Family, as this yacht will change the way guests can explore the world both adventurously and luxuriously,” Wolber said. The 20,000 yacht will be the world’s largest and most spacious purpose-built Polar Class ship. 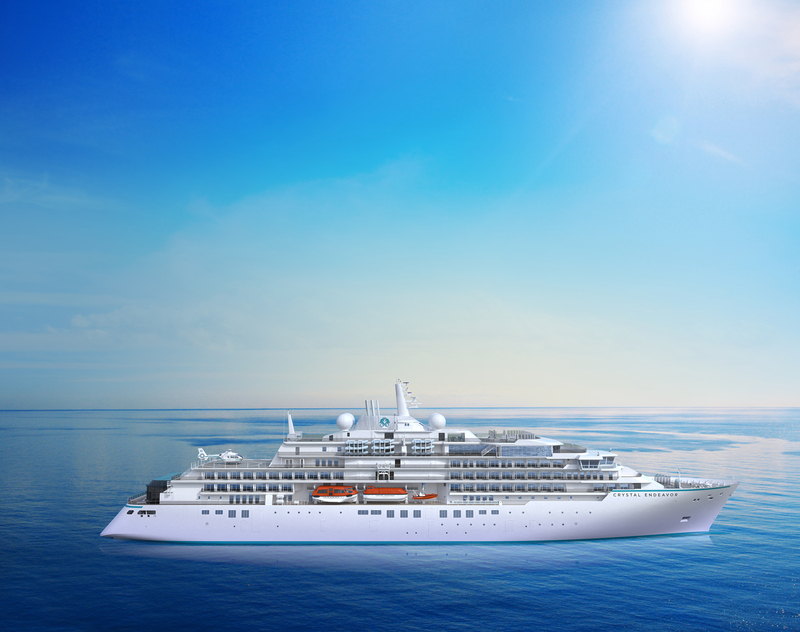 Crystal Endeavor will feature 100 suites and all the luxurious amenities and special touches for which Crystal is known. “The keel laying of Crystal Endeavor here in my political hometown of Stralsund marks a special moment for me that is doubly significant,” said Merkel. “Today, the foundation has been laid for this highly sophisticated, state-of-the-art cruise ship. Bookings for Crystal Endeavor’s global journeys will open to the public tomorrow today.